HOUSTON (CNS) — At a time when the nation is politically divided, the Rev. 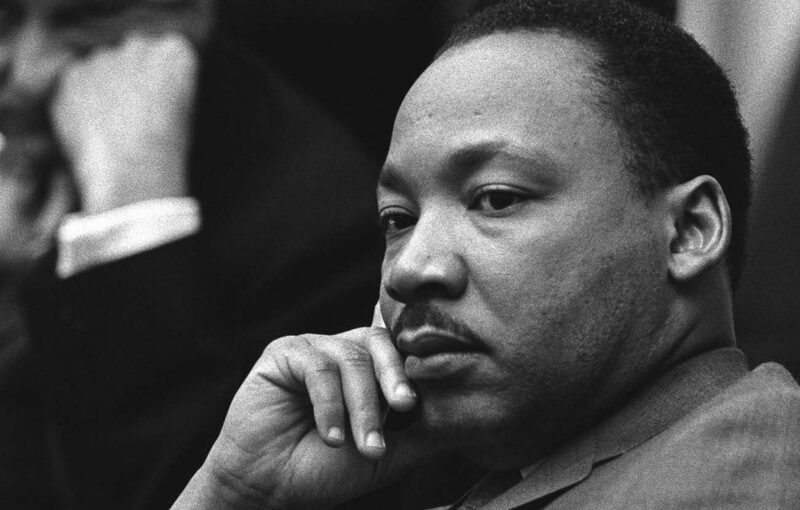 Martin Luther King Jr.’s legacy of seeking peace between races has particular resonance. “I believe Dr. King’s message of tolerance, human dignity and peace is just as meaningful and necessary today as it was in the 1950s and 1960s,” said Deacon Leonard Lockett, vicar for Catholics of African descent for the Archdiocese of Galveston-Houston. Deacon Lockett said that as citizens of this nation — not just citizens of African descent, but all citizens regardless of one’s race, creed or political philosophy — must learn to live every day of the year as if it was Martin Luther King Day, which is observed every January. This year the King federal holiday was Jan. 16. He said it was important to reflect often on the actions of a peacemaker, such as the slain civil rights leader, especially in a time of unrest. In the aftermath of the 2016 presidential election and in the three weeks since President Donald Trump was sworn in, protests have taken place in most major U.S. cities almost continuously highlighting racial tensions in the country and objections to policies of an administration not even a month old. Cardinal Daniel N. DiNardo of Galveston-Houston said that, since the time of the Founding Fathers, the country has been blessed with citizens who have had the courage to rise above the challenges of their day and call their fellow citizens forward in the unending task of building an ever more just nation. Rev. King’s inspiration guides its citizens to build peace under the recent strain of division and violence, he said. Leaders in the Galveston-Houston Archdiocese have followed Rev. King’s example since the early days of the civil rights movement. In 1965, as young priests, retired Archbishop Joseph A. Fiorenza and retired Auxiliary Bishop Vincent M. Rizzotto of Galveston-Houston and retired Bishop John E. McCarthy of Austin traveled to Selma, Alabama, to be part of the march for black voting rights. He said Rev. King was not only demonstrating for the right to vote, but also trying to help overcome enormous divisions in the country. Today our nation is again divided over politics, immigration and racial tension, which is why, he said, the message Rev. King died for continues to be important. He was assassinated April 4, 1968, in Memphis, Tennessee. “Prophetically, he was able to see that, unless we are a truly united nation — united around the basic rights to life, to vote and to be a participant in the democratic process — it was a guarantee that the nation would always be at war with itself,” Archbishop Fiorenza said. Torrellas is managing editor of The Texas Catholic Herald, newspaper of the Archdiocese of Galveston-Houston.